Customer:R.F. Jordan & Sons Construction, Inc. 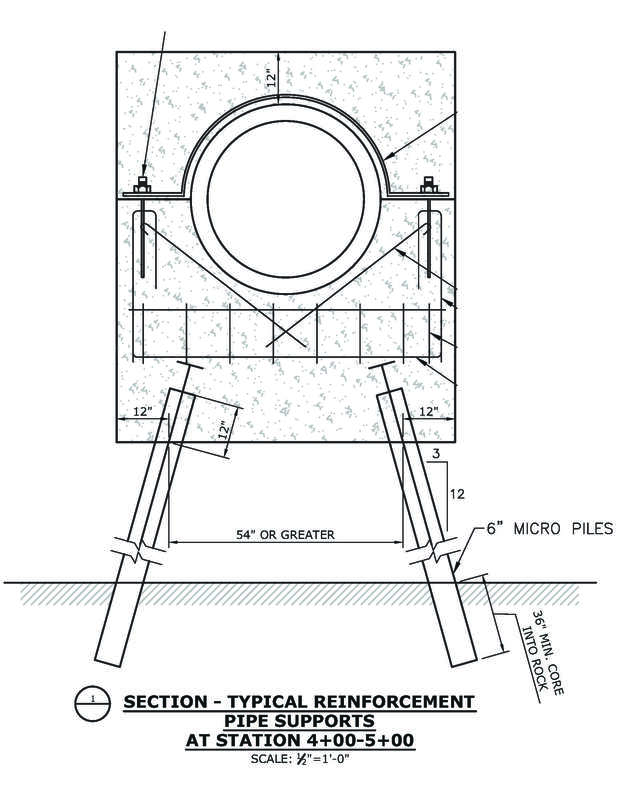 Perform installation of rock anchors and rock-socketed micro piles for the installation of a new outfall in the Penobscot River. 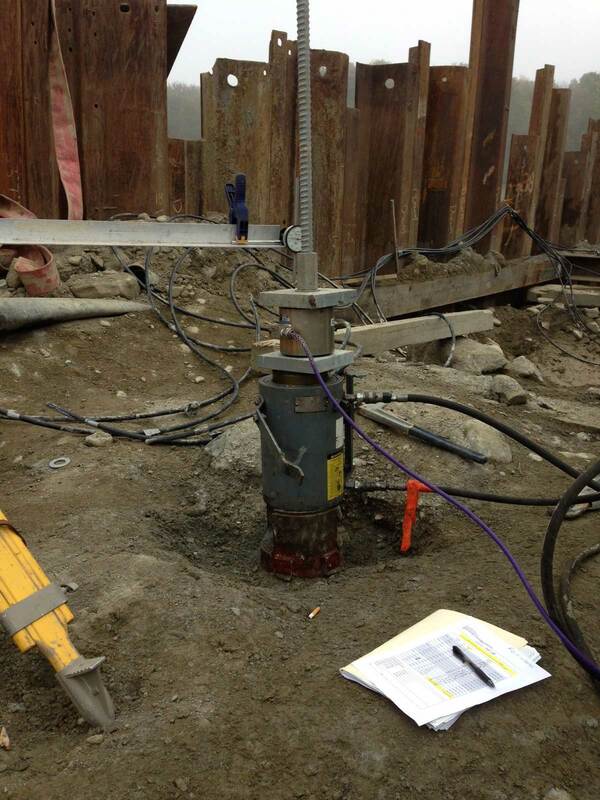 Installation of rock-socketed micro piles in unconsolidated and saturated temporary fill up to 20 feet deep. 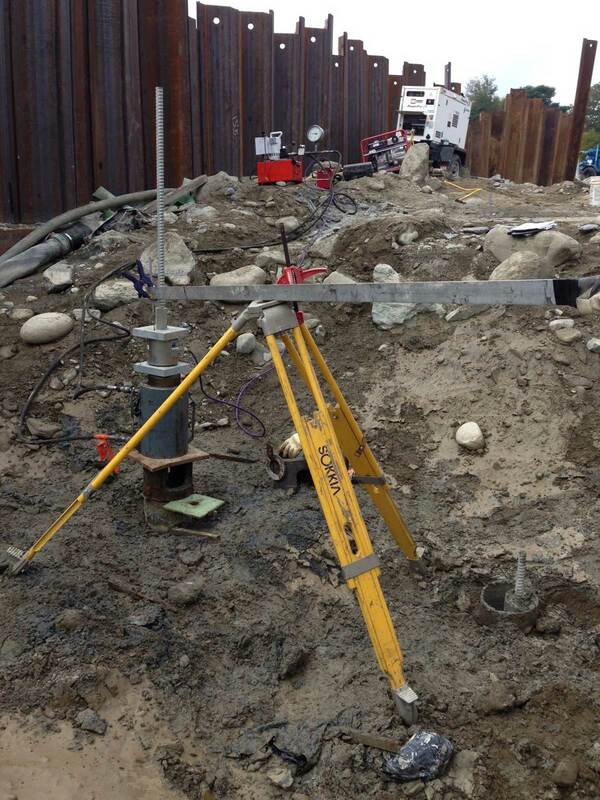 Installation of rock anchors in a shored excavation exhibiting artesian drill hole conditions when dewatered. Battling a fall deadline and repeated flooding due to high water, MD&B needed to perform the work without a hitch when Mother Nature allowed access. MD&B met the schedule and completed our work successfully turning over the site to the general contractor with the time they needed to finish the structure. I am writing this letter to let you know of our appreciation for MD&B's performance on the Outfall Pipe Portion of the Great Works Dam removal project. Your willingness to review the preliminary design, offer practical and economic suggestions for modifying the design, and thoroughness in describing your final scope of work was very helpful and made my job estimating the complete project more straightforward than it typically is. Also, your field personnel's willingness to adapt and work around on-site issues to maintain maximum efficiency was very helpful in MD&B meeting our schedule despite the issues encountered. An excellent example of this was their promptness in performing test pit work between stations 3+00 and 4+00 while earthwork necessitated a temporary halt to the drilling. Again, we are very appreciative of the work that MD&B performed on this project. I look forward to working with MD&B again in the future, should the opportunity arise." I would like to recognize the outstanding job that Maine Drilling and Blasting recently completed for me at the Topnotch Resort and Spa in Stowe Vermont. My record of successful projects completed with Maine D&B stretches over many years and this job not only met, but exceeded, my expectations. There were three weeks of blasting required in a highly sensitive resort setting with neighbors and roadways in close proximity. Your project superintendent, Pat, did an exemplary job of managing the production and the safety on the project. I found him to be professional, courteous, schedule conscious and safety oriented. He is an excellent ambassador for your company and I would welcome him back on any project that I have in the future. In closing, I would once again like to thank you for the fine job and reconfirm my intent to use Maine Drilling & Blasting on all future projects. In the world of drilling and blasting in Vermont there is Maine Drilling & Blasting and then everyone else."